In April 2017 a valuable seminar for collectors, exhibitors, jurors and expertisers will be held in Stockholm. Knowledge regarding the selection of stamps, covers and cancellations with respect to their philatelic importance will be shared in a number of talks and workshops under the guidance of experienced philatelists. 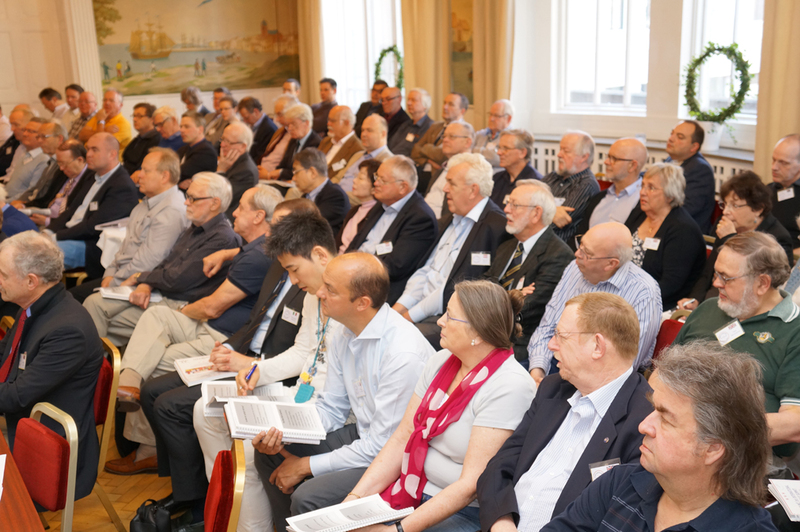 Under the leadership of Jonas Hällström, philatelic summits have evolved in recent years into very popular philatelic events. 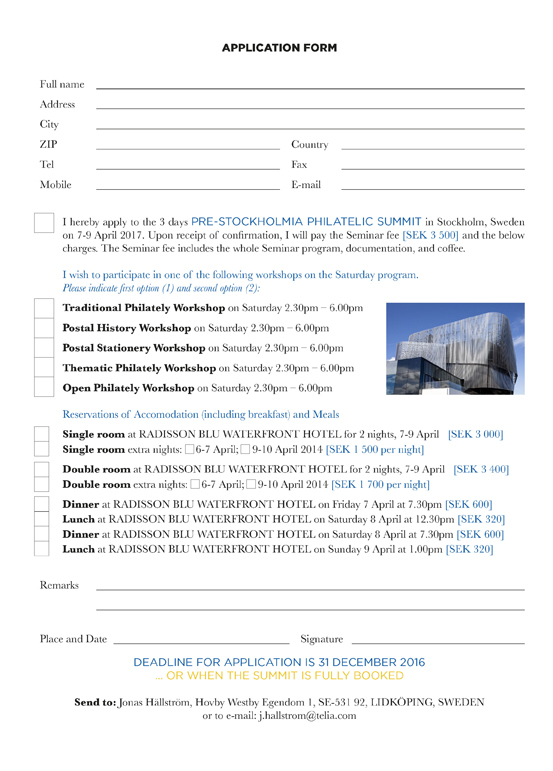 The seminars always have a particular focus and are intended for all philatelists. 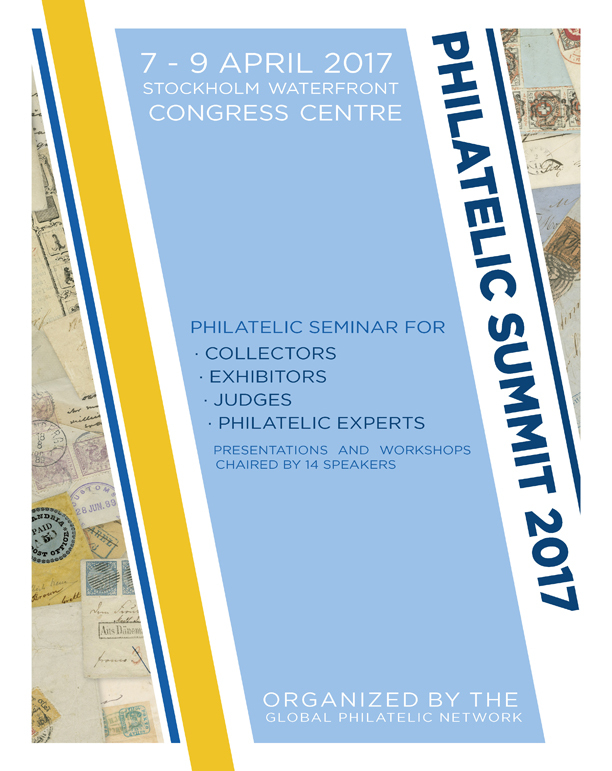 The forthcoming philatelic summit focuses on the selection of philatelic items for both exhibits and collections. The emphasis here is assessing philatelic importance. Ten lectures by internationally experienced philatelists, judges, exhibitors, experts and professionals form the basis of the seminar. Also, with the additional workshops the participants have, for the first time, an opportunity to explore and develop their specialist discipline (traditional, postal history, postal stationery, thematic and open philately) in a group. 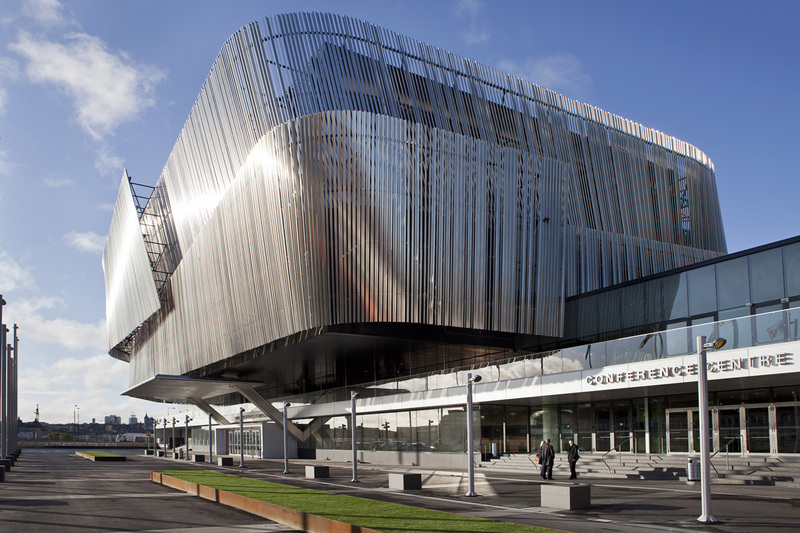 The venue is the modern Stockholm Waterfront Congress Centre. The seminar can be booked individually or as a complete package including accommodation in the adjacent Radisson Blu Waterfront Hotel. Registrations for this seminar can be made until 31 December 2016. The number of participants in the seminar is limited. Any interested collectors can take part. The only requirement, however, is knowledge of English as the entire seminar is conducted in this language. The summit is particularly intended, for philatelists who are planning their next major exhibit or simply wish to improve their collection. The FIP exhibiting rules and guidance underpin the entire seminar.